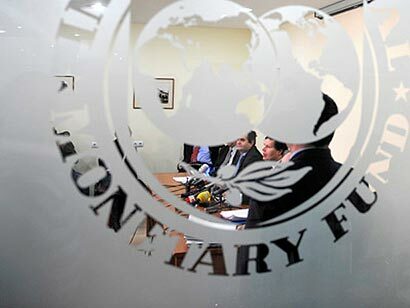 A high level International Monetary Fund (IMF) delegation yesterday pledged its full cooperation and assistance to introduce an extensive tax reform formula to Sri Lanka. At a meeting with COPE Chairman D.E.W. Gunasekara, the delegation said IMF would help restructure four major loss making state ventures — the CEB, CPC, SriLankan and Mihin Air. A spokesman said the delegation listened keenly to Minister Gunasekara when he explained the recommendations of the parliamentary Committee on Public Enterprises (COPE) on turning around the loss making state ventures and how state revenue could be increased if the Government could be released from the huge financial constraints it is confronted with. It is learnt that the IMF delegation had met the minister with the concurrence of Treasury Secretary P. B. Jayasundera. The IMF delegation was told that most of the 74 state ventures out of a total of 235 public enterprises that came under the COPE scrutiny had improved their performance but 95% of the losses amounting Rs.185 billion last year alone had been incurred by the Ceylon Electricity Board (CEB), the Ceylon Petroleum Corporation (CPC), SriLankan and Mihin Air. The delegation accepted that though a combined loss of Rs.165 billion was reported last year at these four state ventures, no one had pointed out when and where the losses had been recorded. The delegations had agreed with the minister that the mentioned state ventures must shift its accounting system from ‘Finance Accounting’ to ‘Cost Accounting’. It expressed its dismay when told that the tax reforms report had been lying idle and state revenue had decreased sharply as a large number of taxable people were not taxed. Sri Lanka with one of the lowest tax collection scheme in the world collects 80% of its total tax revenue from indirect taxes which are contributed by poorest of poor and 20% from indirect tax which is paid by the rich. The IMF agreed that the direct tax collection had to be increased to 40% and indirect tax collection brought down to 60%. The IMF team led by country director Dr. Koshy Mathai and Senior Economist Teresa Curristine extensively discussed the COPE recommendation contained in the final report of 2013 and how to reduce heavy losses at public enterprises. The IMF delegation has expressed its concern when told about the severe dearth of professionals at state ventures and in particular Chartered Accountants, Management Accountants and Quantity Surveyors which contributed to the losses and the failure to implement to project plans and corporate plans. What was Minister Ranswaka doing all these years? It was not my fault! Now, JHU wants to give Hell to everybody. Do not vote for these opportunists next time. The Jathika Hela Urumaya and Bodhu Bala Sena are leading the moral and spiritual revival of the nation emerging from 3 decades of mayhem. It is apparent political leaders and spiritualists are supporting this resurgence to lead the Wonder of Asia to new heights. It is not only assets and economics which matter to us at this juncture. We must fend off all internal and external influences with a solid Buddhist approach so that diaspora cockroaches supported by the imperialists are routed on their own ground. The tamil party has threatened to instal an Al Queda bearded retired justine in the Northern Provincial Council. This is not acceptable to Sri Lankan citizens of Buddhist origin. This initiative of the IMF should be viewed with suspicion. These organisation are headed by committed followers of Mahinda Chinthana and the IMF is likely to request replacement of the leadership with professionals who have no understanding of national needs. You are indeed a rabble rouser!